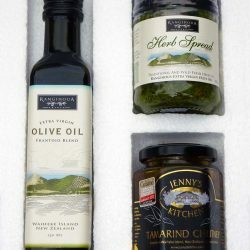 Waiheke Island’s micro-climate is ideal for olive growing therefore no chemical spraying is necessary to produce perfectly sun-ripened olives. Once the olives are harvested, the oil is cold extracted within hours to optimise and retain the olives health enhancing qualities and taste. Koroneiki – a Greek olive that comes from the Kalamata region. 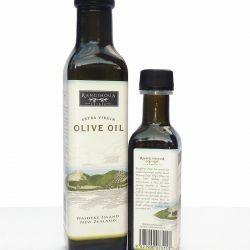 So that we can capture it’s unique taste, it is harvested and processed separately as a single varietal oil. Picual – a Spanish olive that is also kept as a single varietal oil. It has a very intense green colour and equally intense earthy flavour. Frantoio Blend – a blend of Italian olives: Frantoio, Leccino, Pendolino and Morialo. It is very reminiscent of a Tuscan olive oil. 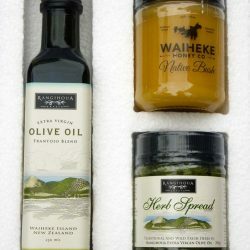 Waiheke Blend – a unique blend to Waiheke Island as it combines Ascalano (Italian) Verdale ( French) and Mission. 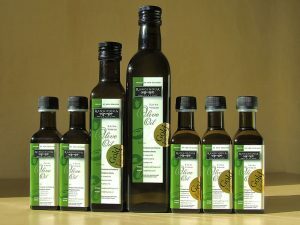 It is a very complex oil that is popular because of its fresh green, robust traits. Visit our online shop for specific tasting notes on our range.